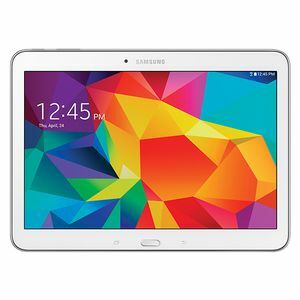 Released in May 2014, the Samsung Galaxy Tab 4 comes in 3 sizes, 7", 8" and 10.1". All 3 are powered by a Qualcomm Snapdragon 400 quad-core 1.2GHz processor and 1.5GB RAM. They all share the same 16GB or 32GB of internal storage, 3.15MP camera, 1280x800 resolution display and HSPDA/LTE connectivity (depending on the model). The 7" has a 4000mAh battery, the 8" 4450mAh and 10.1" 6800mAh.